SAN FRANCISCO, California –While women across all sectors of society are already taking action to build resilience and adapt to the impacts of climate change, a group of women climate champions was unveiled at the Global Climate Action Summit (GCAS) here to leverage women leadership in climate change discourse and actions. Dr. Hilda Heine, President of the Marshall Islands and chair of the Climate Vulnerable Forum (CVF) composed of 50 countries that are the most vulnerable to climate impacts, led the formation of the women climate champion leaders to ensure tangible outcomes and commitments at the first zero-carbon online summit of world leaders that would take place on November 22, 2018. “Women can change the world and that is exactly what this group is doing. With their support I am confident the Virtual Climate Summit will help chart a path to a low emissions, climate-resilient future, including through showing countries can and must step up their climate ambition by 2020,” President Heine said. The upcoming CVF Virtual Summit aims to trigger a universal effort by all countries to enhance their emission reduction pledges by 2020 in order to stay within the 1.5°C limit set by the Paris Agreement. 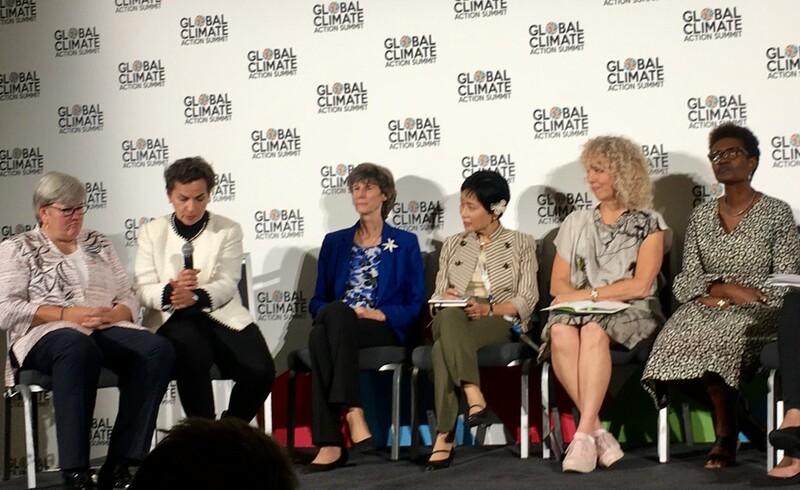 At the GCAS, participated by more than 4,000 leaders from across the world, state and local governments, businesses, scientists and non-government organizations gathered in the city to accelerate action and ambition on climate change, the special group of all-women ‘Summit Champions’ was unveiled. The group will be co-chaired by Ms. Christiana Figueres, former Executive Secretary of the Unite Nations Framework Convention on Climate Change (UNFCCC), and Ms. Rachel Kyte, CEO of Sustainable Energy for All. Members include: Laurence Tubiana, CEO of the European Climate Foundation, Jennifer Morgan, Greenpeace International Executive Director, Laura Tuck, World Bank Vice President for Sustainable Development, Mary Robinson, Former President of Ireland – The Elders, Loren Legarda, Philippines Senator, Naoko Ishii, CEO and Chairman Global Environment Facility (GEF), Helen Clark, Former Prime Minister – New Zealand, and Winnie Byanyima, Oxfam International Executive Director. The CVF, founded in 2009, is composed of 50-member states from Africa, Asia, the Caribbean, Latin America and the Pacific. At the CVF Virtual Summit, new national efforts to reduce emissions will be highlighted and to further push the 1.5oC campaign to limiting global warming to 1.5 degrees Celsius, now a Paris Agreement Goal. The forum will also seek to build much wider international support for climate action and, to help ensure that the necessary resources and finance are delivered. “ If we are to achieve global energy goals, the pace of progress needs to increase urgently or we risk leaving the most vulnerable behind. 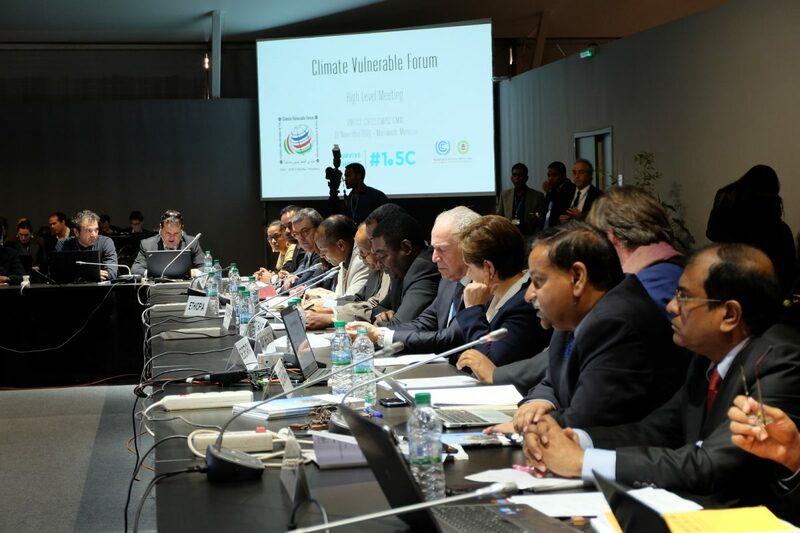 CVF countries are showing the world what leadership looks like – despite facing the dual challenge of undergoing a renewable energy transition that is also climate resilient from the devastating impacts of climate change,” Kyte said adding that there is a need to support vulnerable countries in raising the ambition to deliver sustainable energy for all. GEF’s Ishii said climate change hit hard the poorest and most vulnerable countries and that there is a need to raise climate ambition. “ In its new four-year investment strategy the GEF puts a strong emphasis on financing for Least Developed Countries and Small Island Developing States. The CVF Leaders’ Summit is an important opportunity to accelerate action on financing and to renew political momentum in tackling climate change and support for the most vulnerable,” Ishii said. Morgan on the other hand said the Super Typhoon Mangkhut and Hurricane Florence are the latest grim examples of the dangers the changing climate might pose. “ Let’s not forget there is still hope. The question is, who will take up the reins of climate leadership and take the action that’s needed? We have no time to waste,” Morgan said. The CVF Virtual Summit will follow the release of the Intergovernmental Panel on Climate Change (IPCC) Special Report 1.5 C in October 2018 and ahead of the UN climate change negotiations in Katowice, Poland in December this year.